The John Deere Air Filter helps prevents harmful debris from entering the air intake system and consistently delivers clean air to your lawn tractor's engine. Air filters are used in order to increase your engine's performance and prevent dirt from traveling into the engines cylinders. This Atlas replacement foam air filter element fits Lawnboy F Series engines. This unit replaces Lawn Boy OE # 609493. This Kohler lawn tractor air filter fits Command CH18-23 HP and CV17-23 HP engines. This air filter replaces Kohler OE # 47 883 03-S1. Pre-cleaner is included with purchase of the air filter. This MTD replacement air filter is built for premium OHV 420cc POWERMORE engines. The air filter replaces O.E. 951-12260/ 751-12260 and the pre-cleaner replaces 951-12256/ 751-12256. Air Filter. Fits 2.5-5.5 HP vertical & horizontal engines. Series GX100, GC135, GCV135, GC160, GCV160, GXV57, HRR216 & HRT216. 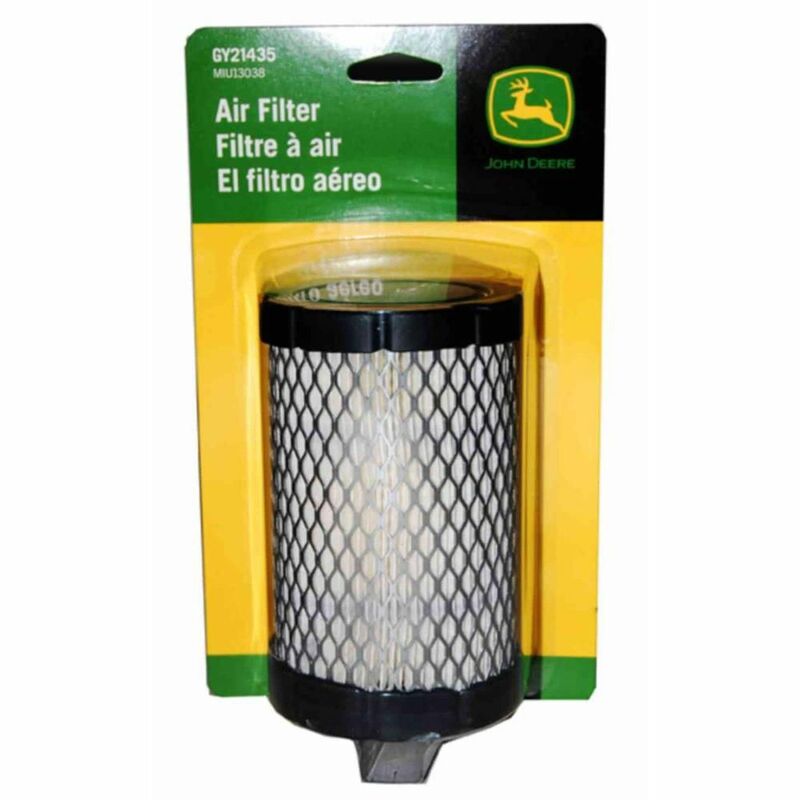 Air Filter for Tractor Engines The John Deere Air Filter helps prevents harmful debris from entering the air intake system and consistently delivers clean air to your lawn tractor's engine. Air Filter for Tractor Engines is rated 4.5 out of 5 by 39.